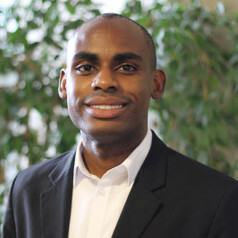 Dr. Neil Lewis, Jr. is an Assistant Professor of Communication and Social Behavior at Cornell University with graduate field appointments in Communication and Psychology. His research focuses on two basic questions: what motivates people to pursue their goals, and how does the interplay between people's identities and social contexts support or undermine their goal pursuit efforts. His theoretical and empirical work conceptualizes the underlying processes related to these questions. He then uses the answers to develop real-world interventions to address social disparities, particularly disparities in education and health outcomes. Dr. Lewis earned his BA in Economics and Psychology at Cornell University (2013), and his MS (2015) and PhD (2017) in Social Psychology at the University of Michigan. Before joining the Cornell faculty, Dr. Lewis was a Fellow at the International Max Planck Research School on the Life Course, and Interim Director of the Preparation Initiative Program in the Stephen M. Ross School of Business at the University of Michigan.